Host variable declaration is one of the main step in developing application program using DB2. You add Host variables in application program why because, the data from database to be received by language which you are using , example COBOL or PLI. In simple terms Host variable is related to host language not related to SQL. Assign the value in the host variable to a special register. It is a storage area that DB2 defines for a process to hold information that SQL statements can reference. In DB2 COBOL or PLI program, the first precedence is DB2 pre-compiler. 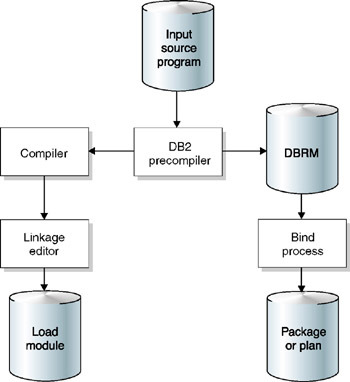 It creates DBRM for DB2 logic. The compiler creates link editor for COBOL logic.